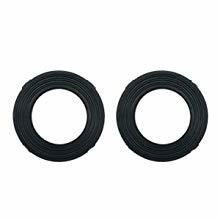 Before using your magic hose, please place the rubber washer firmly inside the female coupling. This will prevent leaking. 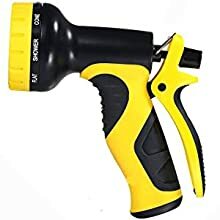 When using the magic hose for the first time, it is recommended to fill the hose and slightly stretch it to release the tightness . Then release water and refill to use normally. The hose is not intended for drinking water use. Drain the hose in the summer when you are not using it and keep it shaded as much as possible. Store the hose in winter in the condition of draining the hose completely as water remaining can freeze, damaging the hose. 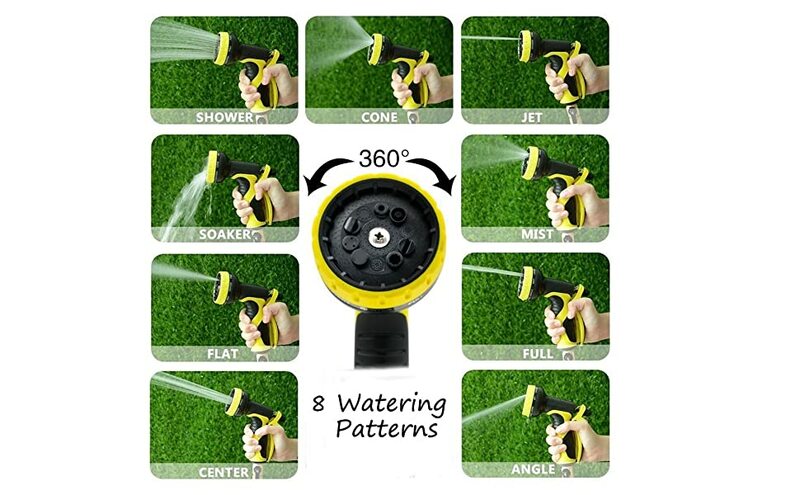 9 Watering Patterns: SHOWER – CONE – JET – SOAKER – ANGLE – MIST – CENTER – FULL – FLAT. Choose your loved style accordingly! Contain All Things Needed in One Set! Enjoy gardening again with the space-saving, amazing BeGrit expandable hose! 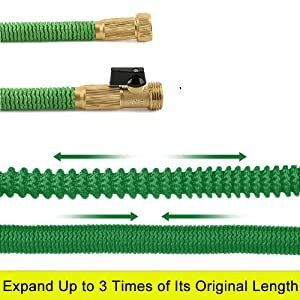 The space-saving garden hose can expand up to 3 times of its original length when water is on. 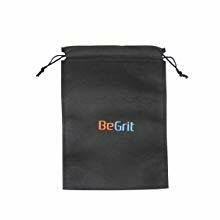 It also can retract down to its original shape for easy storage lightweight and portable size, convenient to carry. 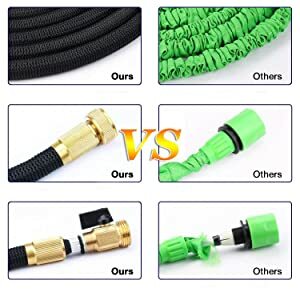 Made with durable, pressure-resistant latex material and 3300D outer layer fabric, these hoses are durable for long time use. 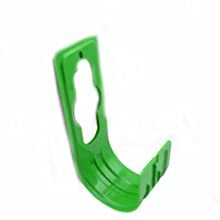 Brass connector with rubber washer provides a durable and tight seal to eliminate leaks and cracks.